Do you remember these print ads for Stella Artois, featuring design classics, such as an Eames chair, Rickenbacker guitar and even… gasp… a Lambretta used as to open a bottle of Stella? Beautifully understated advertising that you have to work at, just a little, to “get”. I love the subtlety of just the Stella cap, and a few droplets of beer on the horncasting. They know their Lambrettas too, Using the very desirable Series 3 TV200. There’s not even a Stella Artois logo, just their wonderful “Reassuringly Expensive” strapline. Class. 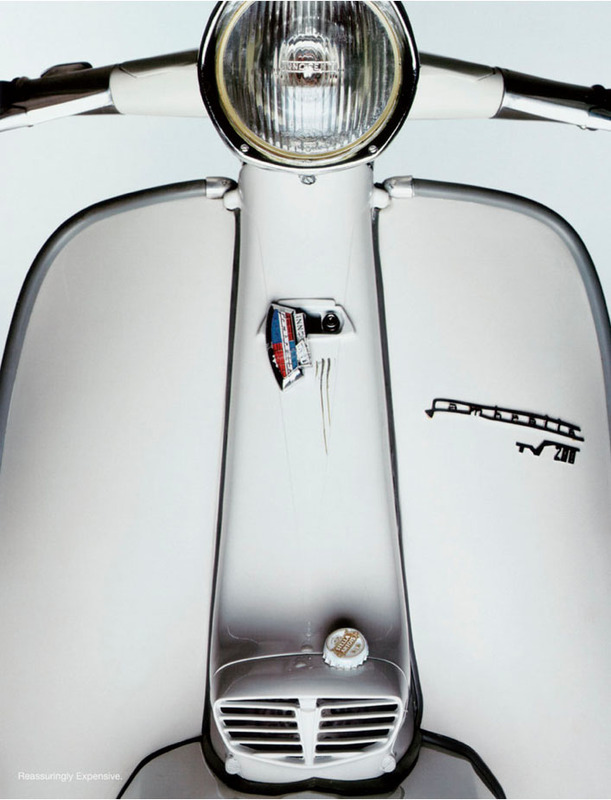 This entry was posted in Lambretta Imagery and tagged Advertising, Lambretta, Stella Artois, TV, TV200 by crocodilejock. Bookmark the permalink.